Healthy Alternatives offers Sound Healing, Guided Meditation, Therapeutic Massage, Facials, Body Wraps, IET (Integrated Energy Therapy), Raindrop Therapy, ART (Allergy retraining technique), Reiki, and Bio-Mat Therapy. Healthy Alternatives is owned by Carol Scheg-Morissette a Licensed Massage Therapist, Certified Herbalist / Aromatherapist, and Licensed Cosmetologist offering Healthier Hair Color. Take adventage of this offer by Clicking the green button below to order your Premium Starter kit (5463) & become a member. Then email (angelhd1@hotmail.com) a copy of your order with your contact information to setup your appointment. Questions call or text (585) 663-6454. Frankincense essential oil: Calming & inner strength. Lemon essential oil: d-limonene supports immune system. Energy, mental clarity, uplifting. Peppermint essential oil: Digestion, Improves taste, smell, concentration & mental sharpness. Purification® essential oil: Deodorizes & neutralizes the air. Uplifting & refreshing. PanAway® essential oil: Muscle pain. Comforting warmth to muscles after exercise. Thieves® essential oil: Defend & protect against germs. Supports healthy immune system. Thieves was created by 4 French criminals who covered themselves with clove, Rosemary & other oils while robing plague victims. (benefits diabetes). Copaiba® essential oil: digestion & supports body’s natural response to injury or irritation. Stress Away® essential oil: Stress and anxiety. Maintain equilibrium & reduce nervous tension. DiGize® essential oil: Supports healthy digestion and soothes stomach discomfort. Our mission is to promote holistic wellness and encourage healthy alternatives for your mind, body and spirit. For years I suffered numerous health conditions until I discovered I could take back my health naturally. Now, I want to help others in their journey to improve their health. Healthy Alternatives is a chemical free environment. Please do not wear perfumes scented lotions or smoke before your appointment. I opened Healthy Alternatives because I wanted to help others take their health back naturally like I did. I suffered from hypoglycemia, esonophilic esophagitis, anemia, fibromyalgia, degenerative disc condition, ischemia, vertigo and IBS. (I was on Viox, valium, previcid, guifenisen steroid inhalers, ect.) I eliminated my prescription drugs with alternative health care. In 2003 I was having trouble with my esophagus. In 2004 my esophagus collapsed. I was unable to eat or drink thick liquids and had difficulty breathing. Milk was too thick to swallow. My esophagus would not stay open. In 2006 it stayed open but I had lost the ability to move food down the esophagus. I had motility damage. With the Ningxia Red juice, essential oils, Reiki, Raindrop Therapy, allergy elimination and prayer, I regained my health and my ability to swallow and eat. I feel compelled to help others Heal Naturally “If you don’t have your health you really don’t have a life!” I vowed to help others achieve health by offering the modalities that helped me regain my health. Benefits of Sound and Meditation: The Sound takes you down into a deep state of meditation, automatically and that deep state helps dissolve your worries, and sets you up for a day of enhanced focus, creativity and energy. Relax on a yoga mat or seated in a chair. You will be guided with a meditation while listening to Crystal Tibetan and kaliski bowls being played. Reduces stress, anxiety, & joint pain. Relieves strained muscles, migraines & sinuses. Carol Morissette is the only licensed massage therapist in Western New York to be certified in vibrational sound massage. Morissette completed her certification in Vibrational Sound Massage in May through the Vibrational Sound Association at Union College in Lincoln, Nebraska. 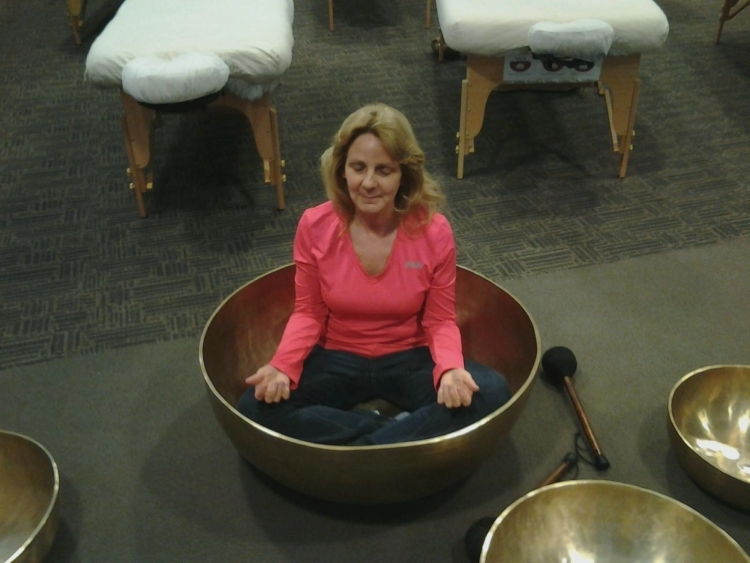 Meditation and Sound Healing: Relax on a yoga mat or seated in a chair. You will be guided in a meditation while listening to crystal Tibetan bowls and kaliski bowls being played. The sound emanating from the crystal singing bowls affects our frequency. It can reduce stress, anxiety, sinuses, and lower blood pressure as well as balancing adrenals and promoting sleep. I’ve been able to relieve sinus congestion, reduce a woman’s Blood Pressure problems, relieve back pain, relieved tooth ache, and relieve my own trigeminal Neuroglial with herbs and sound. Massage stimulates the immune system, helps to increase circulation, reduces stress, increases joint mobility, helps removes waste from the body, and increases the flow of blood and oxygen to the massaged area. I specialize in massage for individuals with Fibromyalgia. Reiki is a hands on holistic healing technique that creates deep relaxation and relieves stress and pain. I practice Usui, Kundalini Reiki and Johrei. Johrei helps eliminate toxins and focuses on the kidneys which are related to many illnesses in the body. Eliminate toxins from your body. Wolfberry juice has the highest natural antioxidant levels. NingXia Wolfberry helps our body fight the good fight for a healthy life. It is chock full of phytonutrients. Wolfberry juice has the highest amounts of S-ORAC activity. A specific antioxidant. measurement for SOD activity. S-ORAC testing measures a product's ability to destroy the most dangerous and abundant free-radical--Superoxide. Elevated superoxide is linked to heart disease, cancer, arthritis, asthma, and other inflammatory conditions. Lavender (Lavandula angustifolia) is the most versatile of all essential oils. Therapeutic-grade lavender has been highly regarded for the skin. The French scientist Rene Gattefosse was the first to discover these properties when he severely burned his hands in a laboratory explosion. Lavender has also been clinically evaluated for its relaxing effects. It may be used to cleanse cuts, bruises, and skin irritations. 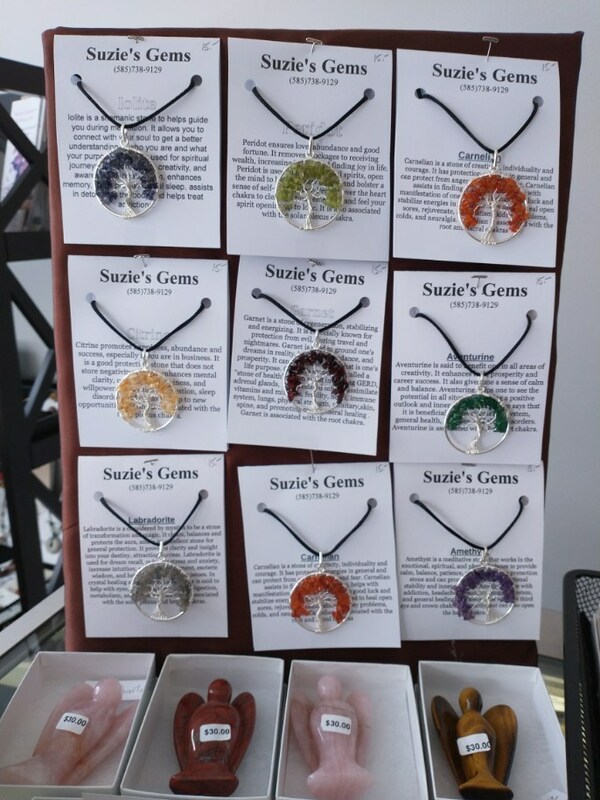 The fragrance is calming, relaxing, and balancing -- physically and emotionally. This plant is grown and distilled at the Young Living Farms. Peppermint (Mentha piperita) is one of the oldest and most highly regarded herbs for soothing digestion. Jean Valnet, M.D., studied peppermint's effect on the liver and respiratory systems. Other scientists have also researched peppermint's role in affecting impaired taste and smell when inhaled. Dr. William N. Dember of the University of Cincinnati studied peppermint's ability to improve concentration and mental accuracy. Alan Hirsch, M.D., studied peppermint's ability to directly affect the brain's satiety center, which triggers a sense of fullness after meals. This plant is grown and distilled at the Young Living Farms. Thieves was created based on research about four thieves in France who protected themselves with cloves, rosemary, and other aromatics while robbing plague victims. This proprietary blend was tested by Weber State University and found to have a 99.96% effective rate against airborne bacteria. Essential oil blend of clove, cinnamon bark, rosemary, lemon, and Eucalyptus radiata. Thieves Household Cleaner is a highly-concentrated formula with Thieves essential oil blend that can be used on any surface. Suggested dilution ratios are included on the label. Thieves Spray is ideal for use on door handles, toilet seats, and any surface that needs cleansing. Open Monday thru Saturday by appointment. These techniques do not claim to treat, cure or prevent any disease, nor is it intended to replace proper medical care or common sense. Consult with the health professional of your choice. A healthy body is the result of a well-rounded program of exercise and proper diet. According to the government we are no longer allowed to use the words heal, cure or treat etc. I'm at a loss for words so feel free to replace these words with any feel good word of your choice. I'm exercising my right to free speech under the First Amendment by sharing my opinion of healing modalities that are not backed up scientific evidence, FDA or the drug companys. The only person who can heal you is yourself. As always don't do anything without the advice of your doctor, pharmacist or drug company. All information is intended for entertainment purpose only.